What is your favourite ABBA event of 2012? There have been so many ABBA and related events during 2012. What have been your favourites? Chose up to five from the list below, or add anything else to the comments. What is your favourite ABBA event of 2011? There have been so many ABBA and related events during 2011. What have been your favourites? Chose up to five from the list below, or add anything else to the comments. To celebrate the UK release of CHESS IN CONCERT 25TH ANNIVERSARY CELEBRATION on CD and DVD ABBA World, courtesy of Warner Music Entertainment, has three CHESS IN CONCERT bundles to give away. What year was the original CHESS concept album released? Send your answer with your full name to competition@abba-world.net. Competition closes 12 noon GMT 14 September 2009. Winners will be selected at random and contacted by email for their full address. Names of the winners will be published at ABBA World. Thanks to Warner Music Entertainment. CHESS IN CONCERT screens at cinemas across the UK and Ireland in September. See More2Screen for details. One month from today the Benny Andersson and Björn Ulvaues masterpiece musical Kristina från Duvamåla makes its English-language debut in New York. 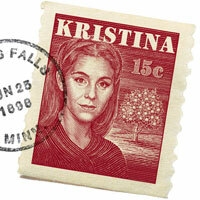 Kristina – A Concert Event will be held on the evenings of September 23 and 24 at the prestigious Carnegie Hall. The English version has been a long time coming. 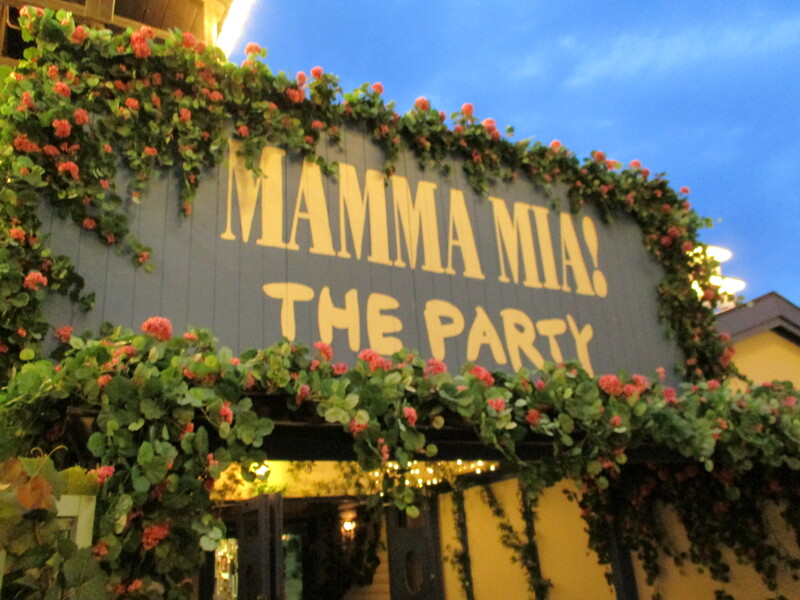 There has been talk that the translation was completed and presented to potential backers as long ago as the Broadway premiere of Mamma Mia! in 2001. A workshop was held in New York a few years ago, and the musical was then presented to potential financial backers, whose declined to finance the show citing that “sad doesn’t sell’. Hopefully this concert version will introduce Kristina to the world and see an eventual full English production. The concert stars Helen Sjöholm reprising her role as Kristina, British singer Russell Watson as Karl Oskar, Canadian Louise Pitre (who originated Donna in Mamma Mia! in North America) as Ulrika, Broadway star Kevin Oderkirk as Robert, and a supporting cast of musical theatre veterans. Presumably composers Andersson and Ulvaeus will be attending. ABBA fans, and no doubt fans of the musical and the stars, will be making their way to New York in the hundreds. I’m excited that I too will be there for this auspicous event, along with many friends from around the world, including at least eight making the trek all the way from Australia. For more information, full cast list and links to buy tickets go to Kristina – A Concert Event at Carnegie Hall. For all the news on Benny and Björn’s projects see icethesite. May 29, 2009, Burbank, CA — PBS’s Great Performances will air the spectacular London concert revival of Benny Andersson and Björn Ulvaeus’ 1986 cult musical Chess, featuring Reprise Records’ Josh Groban and Idina Menzel as Chess in Concert on Wednesday, June 17th at 9 p.m. ET (check local listings). Reprise Records will release Chess in Concert as a two-CD set, a single audio CD, and as a stand-alone DVD to retail beginning June 16th, 2009. In addition, a three-disc Special Edition, which includes the two-CD set plus the DVD, will be available exclusively through Groban’s official website www.joshgroban.com, his official fanclub website www.friendsofjoshgroban.com, and Menzel’s official website: www.idinamenzel.com. This limited-edition version includes music and video from the performance, a full-color booklet with cast photos and a synopsis by composer Tim Rice, sheet music for “Anthem” and “I Know Him So Well,” plus an MP3 download of the two-CD audio content to be delivered on June 16th. Groban and Menzel led the cast in this very special 21st anniversary performance of the British cult musical at London’s Royal Albert Hall in May 2008. The book and lyrics are by Tim Rice (Jesus Christ Superstar, Evita, The Lion King) and the music is by ABBA’s Björn Ulvaeus and Benny Andersson (Mamma Mia!). Also featured are the West End Chorus and the City of London Philharmonic with Stephen Disley playing the great organ of the Royal Albert Hall.